Have you received a strange phone call or text message from an unknown phone number about a political candidate from an unknown phone number? Is your snail mail overflowing with weirdly accurate political fliers? Do chipper canvassers pound on your door and recite scripts that seem tailor-made for you? In the race to secure victory in an election former President Barack Obama called the "most important of our lifetime," both political parties are using "big data" to micro-target voters. Information is so precise that many tools allow campaign managers to target individual voters with powerful and highly customized messages. Before the internet, information used by political parties to target voters was generally limited to a voter's home address, voting history, party affiliation, and a few other simple data points. In the past decade, the amount of detailed information about voters has grown exponentially. Firms like L2 Political combine traditional voter information records with modern data files used by the most sophisticated internet marketing firms. "[Our] data comes from a variety of sources, including states, and counties and municipalities that provide the raw voter data," said L2 Political vice president Paul Westcott. "Once that data is brought in it is scrubbed against the national change of address database, the Social Security death index, and commercial files among scores of other checks. The commercial data comes from a variety of sources, including Experian." Voter data is then organized by computer algorithms, allowing campaigns to quickly sift and sort through the issues voters are most passionate about. L2 overlays the information on a map of the United States. 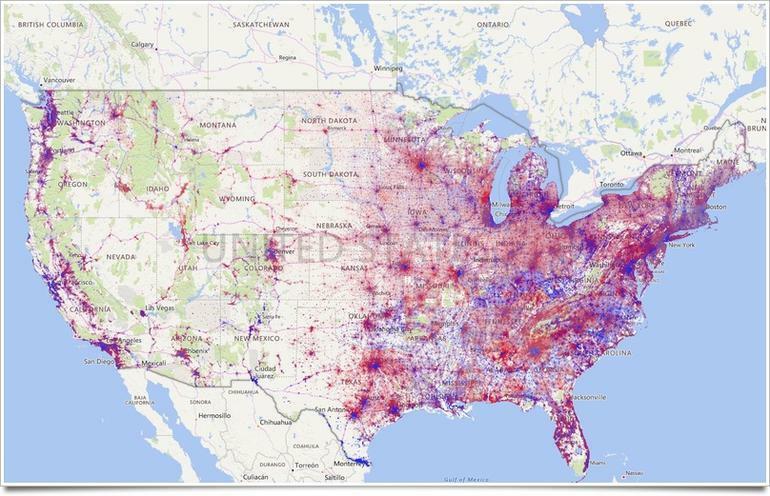 Campaigns can zoom out to see the entire country, or zoom way in to get a clear view of states and voting districts. Campaigns can also export the information to common file formats like Microsoft Excel for further analysis by staffers. The interest graph information available in the L2 tool is extensive and allows campaigns to cross-reference demographic information with voter affinity related to hot-button issues like gun control, abortion, the border wall and marijuana legalization. That allows campaigns to craft and target direct mail, robocalls, canvassing routes and social media marketing. "[After the 2016 campaign] people said they relied on analytics. They relied on these predictive models and at least that's what was being fed out publicly. Really at the end of the day, their models looked good. Their models were actually put together in a really solid way and the team there was among the best in the country," said Westcott. In 2018, campaigns are using L2 and predictive analytics powered by big data to model outcome scenarios based on early voting data. Westcott said massive datasets can help campaigns micro-target small but influential groups of voters. "[Precision data] is the core of what we're reaching out to when we're trying to get our 600 person sample or 1,000 person sample. So the core data matters. The underlying data matters," Westcott said. Dan Patterson is a senior producer for CNET and CBS News. He covers the tech trends that shape business, politics, and culture.